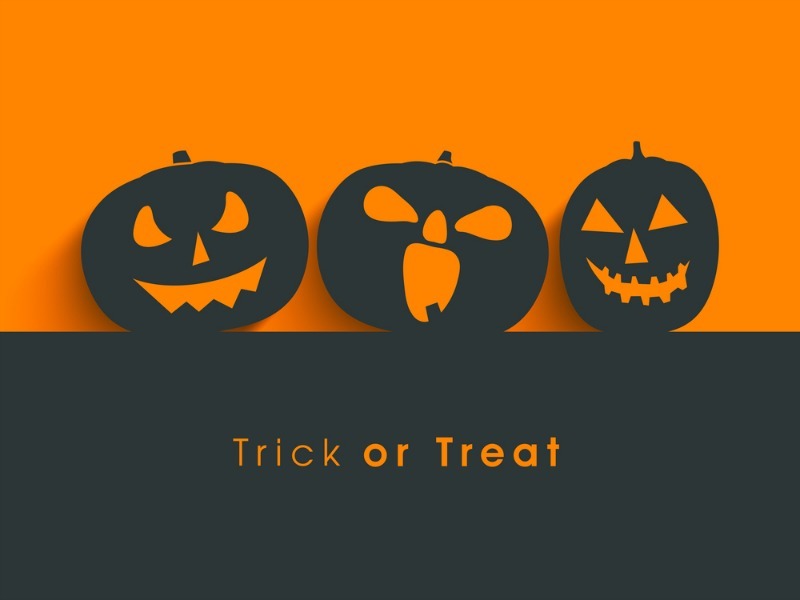 When it comes to trick or treating, an important question you should ask yourself is whether it’s better for your kiddo to go out for trick or treating, or to stay home? If you decide to stay home, we have a few things for you to think about. Staying home is a great option, and we want to make sure you’re ready for it. 1. Talk about it first. Talk to your kiddo beforehand, and say, “This time, we’re going to be the ones who pass the candy out, instead of going door to door. It will be so exciting because you’ll get to see all the characters come to our door!” This preparation step is very important because it gives you a chance to see if your child has any strong feelings or emotions based on trick or treating, so you can address them prior to Halloween night. Remind them that they can still dress up in their costume at home if they want to! If you do stay home to give out candy, you might practice some first. I worked with my son on not grabbing a handful of candy and giving every child 10 pieces of candy. We worked on picking up a smaller amount to give to each child. Also think about how you’re going to handle the noise and stimulation of the ringing doorbell, the dog barking, and all those different things. What I’ve done in the past, to avoid problems with the dogs and the constant noise of the doorbell ringing and the door opening has been to sit out front of the house with my son. We get a bowl of candy and a TV tray and pass out candy by the front door. This is actually nice because you can see everyone walking around the street! You can see people coming so there’s no surprise. Remember that even though a surprise might be fun for you, it’s not fun for everyone. You can do this for the whole evening, or just for the busiest part of the evening. Make sure you have plenty of candy, though, because you don’t want to run out! Also, this way, if there’s anyone scary, or anyone you think might intimidate your child, you can see in advance and you can send your child inside the house. This way your child won’t be freaking out, and when a poor neighborhood child comes up as a vampire he won’t be taken by surprise by your child screaming. 3. Remember, you have options. You can even leave the house and go out to eat! If you decide you don’t want to be in the house, that’s a fine option! It’s important to realize what’s best for your family. That’s our biggest focus. Whatever you think is best for your family is great! Go ahead and do that. You can also always take advantage of other options that are available that aren’t on Halloween night. We hope you have a Happy Halloween, one that is successful and peaceful and leaves you with some great memories!